How did Hitler consolidate power? Hitler wasted no time in consolidating his position as Chancellor. Nazi control of the Reichstag and it’s institutions was a neccesity to enable his plans. this section looks at the methods employed by Hitler in his consolidation of power. Once the Nazi Party had taken power, or rather gained control of the Reichstag, Hitler made moves to gain control of the institutions that ran Germany on a day to Day basis. This was achieved in a number of ways. Following his election as Chancellor, Hitler was in a position where he was the nominal leader of the Weimar republic but he did not have the majority necessary to implement his political program. To do as he wanted he required such a majority, indeed he needed the opposition to be silenced. A fire in the Reichstag buildings provided him with the ideal opportunity to take the initiative. (the fire being almost certainly started to facilitate the following actions). The fire was publicly blamed upon the Communists. 4000 communist party members were consequently arrested and sent to concentration camps around Germany. In a stroke Hitler had annihilated the most potent threat to his leadership. This was followed, very quickly, by the Enabling Act. This measure allowed Hitler the right to rule without consultation of the Reichstag or the president. It was in effect a decree of a state of emergency. The result was the banning of all opposition parties, censorship of broadcasts and publications and a rapid replacement of Government officials who were deemed to be unsympathetic towards Nazi policy. Such swift actions left the Nazi Party with little political opposition, certainly no legalised opposition. Hitler now had a one party state and control of most means of communication: the nazi propaganda machine could begin it’s work. Even so Hitler was not entirely certain of his position. The party itself was not united behind his vision of National Socialism. On the Night of the Long Knives this situation was rectified. Hitler asserted that Rohm, the leader of the SA, had plotted to overthrow him. 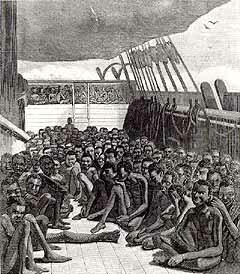 400 members of the organisation were rounded up and killed. This brutal action secured the loyalty of the Armed forces, who had previously been wary of the SA’s influence. Hitler was now in control of both his party and the Government. The death of President Hindenburg leaving no possibility of his authority being challenged from within Germany. 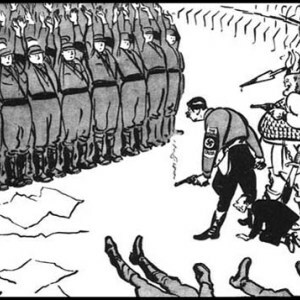 Teaching resource: How did the Nazi's rise to power? Reparations Did the Economic Crisis of 1923 help the Nazi's? How did Hitler become Chancellor? How did the Nazi's create a Totalitarian State? 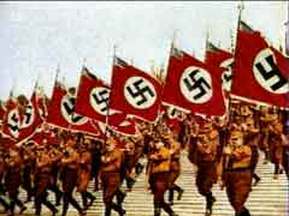 Schoolshistory.org.uk > European and World History > Nazi Germany > How did Hitler consolidate power?